Have you ever wondered about the signs of the Zodiac? Why do we only hear about twelve? What about the other 36 constellations that are in the picture? I mean, let’s be honest — except for a very few signs, like the “little dipper” and the “big dipper” there doesn’t seem to be much reason for the pictures being drawn that way! Is it really that important anyway what “sign” we’re born under? 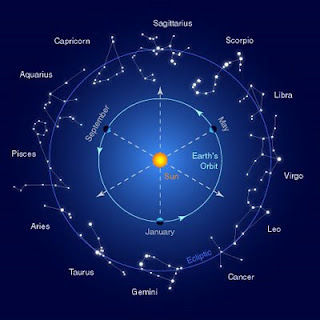 The truth is that almost every ancient civilization stressed the importance of the Zodiac. But why? Is it just some ancient religion? The answer might surprise you! Are you ready for this? God drew the Zodiac. That’s right! Now hold on — don’t go clicking off the page just yet. Give us a chance to really explain it. God drew the lines in the night sky which connected just the right stars to form just the right pictures which, when taken all together, form just the right story of His incredible grace and mercy, and His amazing plan to save mankind from the curse of sin. Yeah, right, you’re thinking. Well, we’ve got the evidence to show you. Will you just give it a chance? Click on your sign — or if you want the story from the beginning — choose Virgo first (we’ll tell you why when you get there!) We also suggest that you download the free e-book and read that first. It will help to dispel some of the doubts you probably have about all this! Are you ready for this?